No single piece of art pottery has captured the hearts and imaginations of collectors like the Lorelei vase of Artus Van Briggle. While collectors agree that the Lorelei is by far the most popular vase ever designed and produced at the Van Briggle Pottery, it begs the question: is it the most famous piece of American art pottery ever produced? Some experts believe it is. 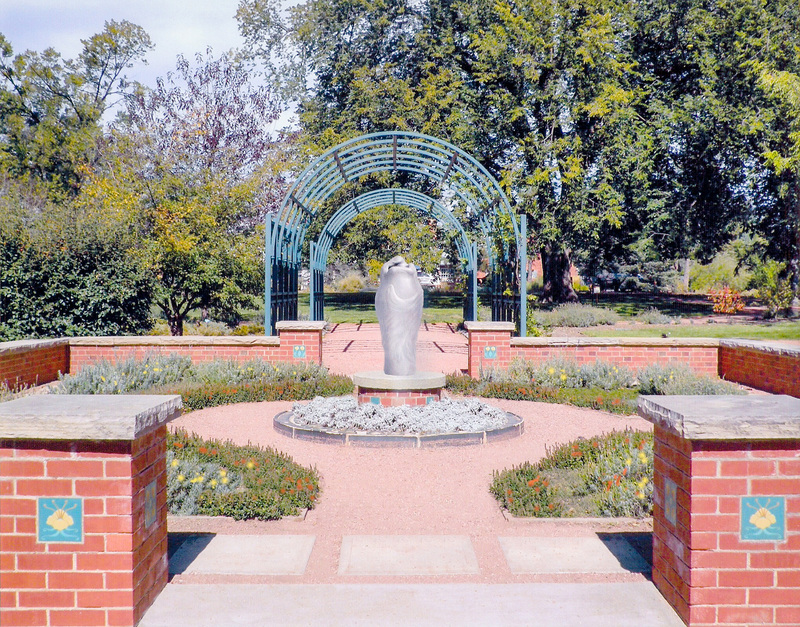 Artist and sculptor, Larry Terrafranca, approached the Horticultural Art Society in 2015 with the idea of sculpting a replica of the Van Briggle Lorelei vase for the Heritage Garden. He suggested placing the sculpture in the formal walled parterre better known as the thyme garden atop the concrete base that already exists. The thyme garden currently has approximately 50 plus Van Briggle tiles placed within the brick walls and the round structure within the garden. 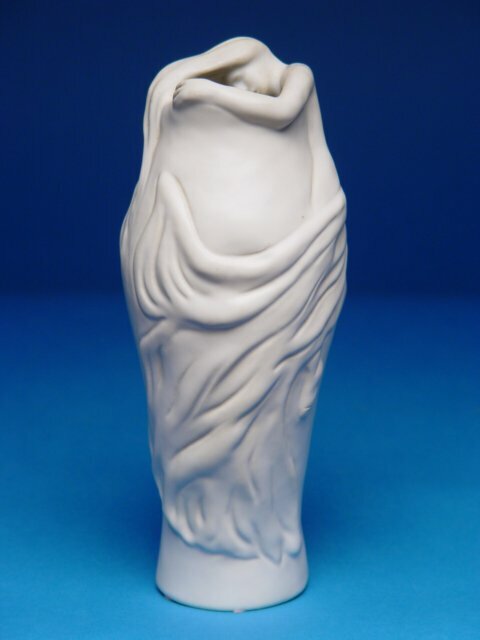 This Lorelei Vase sculpture will articulate the historic, cultural, & artistic context of the Van Briggle legacy and will add to the uniqueness of this particular garden. Heritage and history are frequently essential sources of meaning that give a place character and resonance. Larry has made a generous offer to HAS, but we need funding to pursue it. Can you help us make this happen? The Horticultural Art Society motto is to Enhance – Educate – Enrich our community with Public Gardens which include the addition of local art. Art can reveal and enhance the underlying identity of our society — the unique meaning, value, and character — of the physical and social form of our gardens. Art enriches our community and gardens in countless ways, from adding the spark of new ideas and energy to adding natural beauty. We want to celebrate the existing garden’s character, and ultimately create, reinforce, or enhance sense of place. Finally, arts and cultural items play an important role in providing education about the historical and cultural context of our community and our gardens. We are trying to evolve and embrace new ideas while balancing the inherent conflicting nature of past, present, and future community values and culture within the Heritage garden. Your contribution will allow the Horticultural Art Society to contract with Larry Terrafranca to sculpt the Lorelei Vase. Your donation dollars will make such a large difference in this project. We are extremely grateful to Colorado College and the City of Colorado Springs, Park & Recreation Department. To help make this possible, Colorado College (CC) has agreed to donate the stone for Larry to sculpt. CC is a huge supporter of the Heritage garden and the Van Briggle legacy. They have provided support and donations for the thyme garden – formal walled parterre, and the slate roof on the gazebo. Their support and dedication to this community garden is invaluable to the Horticultural Art Society. Again, we cannot accomplish this project without the support of The City of Colorado Springs P&R. They will provide material and labor to install the Vase sculpture in the garden. The City P&R Department provides support to the HAS Garden’s in ways too numerous to list them all. We need your financial support in order to realize our goal. There is no feeling quite like knowing your contribution helped bring the Van Briggle Lorelei Vase Sculpture into the Horticultural Art Society’s, Heritage Garden. Because of your loyal support in the past, we’re asking all of our members for a contribution of any size. Every cent counts for us as a non-profit volunteer supported organization. Your contribution is, of course, tax deductible. We will provide a receipt and thank you letter to all who have contributed and we thank you in advance for your support. All contributions, as always, will be for the express purpose for which they have been given. To donate, simply go to our website, www.hasgardens.org, membership tab and scroll to bottom of the page and click on the “Donate” button and place your donation using the paypal or use your credit card function. Or simply mail a check to HAS, PO Box, 7706, Colorado Springs, 80933. Our vision for these gardens is to have them as a vibrant, enriching and dynamic place to visit, again and again. Your contribution will make that dream a reality. Again, we want to thank each and everyone of you, ever so much for your help and support in this new and exciting endeavor.